Vietnam Lecture focuses on 1968 presidential election impact | Command and General Staff College Foundation, Inc. The 12th lecture in the Vietnam War Commemoration Lecture Series was conducted No. 27 at 6:30 p.m. in the Stove Factory Ballroom in downtown Leavenworth, Kansas (417 S. 2nd Street). 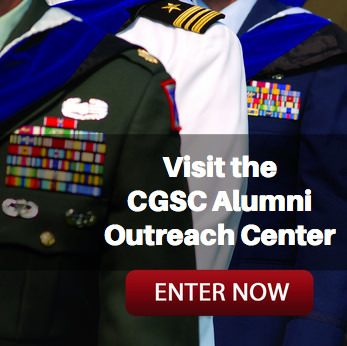 A reception sponsored by the CGSC Foundation began at 6 p.m. In this most recent lecture, Col. Pat Proctor, Ph.D., discussed the 1968 presidential election and its impact on the Vietnam War in the midst of one of the most tumultuous years in U.S. political history. In his presentation, Proctor discussed the domestic issues surrounding the debate on the nation’s participation in the Vietnam War, fractures in the Democratic Party, race politics and the generational divide and how all they converged to reshape the nation’s political landscape for the remainder of the Cold War. Col. Pat Proctor, Ph.D., presents the 12th lecture in the Vietnam War Commemoration Lecture Series on Nov. 27 at the Stove Factory Ballroom in downtown Leavenworth, Kansas. Proctor has written extensively on current affairs, military history, and military simulation topics with numerous articles in multiple publications. His book titles include: Blameless? The 1990s and the U.S. Army’s Role in Creating the Forever-Wars in Afghanistan and Iraq, Containment and Credibility: The Ideology and Deceptions that Plunged America into the Vietnam War, and Task Force Patriot and the End of Combat Operations in Iraq. Col. Proctor earned his bachelor’s degree in mechanical engineering from Purdue University. He also holds three master’s degrees – one from the U.S. Army War College, one from the School of Advanced Military Studies (SAMS) and one from the U.S. Army Command and General Staff College. He also earned a doctorate in history from Kansas State University. Col. Proctor currently serves as a chief of operations group at the Mission Command Training Program (MCTP) at Fort Leavenworth, training the U.S. Army’s functional and multi-functional brigades. American involvement in Vietnam lasted 20 years and spanned three decades – from November 1, 1955 to May 15, 1975. Nine million Americans, approximately 7.2 million living today, served during that period. The nation has embarked on a commemoration of the war on its 50th anniversary to recognize those that served and to help the public learn about the war and the lessons it provides. The Vietnam War Commemoration Lecture Series is conducted in support of that commemoration. 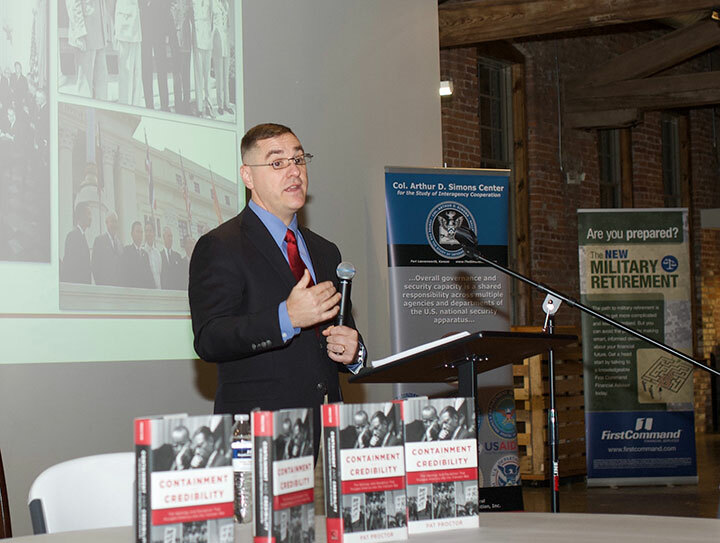 This lecture series is presented by CGSC’s Department of Military History, U.S. Army Garrison Fort Leavenworth and s­­upported by the CGSC Foundation and the Henry Leavenworth Chapter of AUSA. 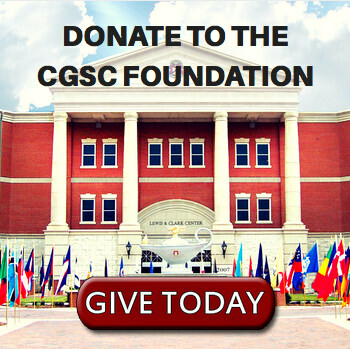 The CGSC Foundation has received additional support for the Vietnam lectures in academic year 2019 from First Command in Leavenworth, Kansas. All lectures in the series are free and open to the public. For more information contact Col. (Ret.) Rod Cox, email– rcox@thesimonscenter.org, or phone 913-82-7244. For more information about the commemoration on a national level, visit www.vietnamwar50th.com. 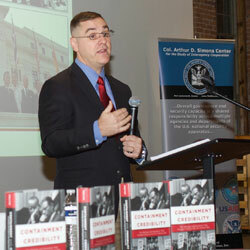 For more photos from this lecture visit the album on the CGSC Foundation Flickr site. View video of the full lecture below.